Better quality care that’s more affordable. Doctor-patient-community engagement. That’s how physicians and health systems will deliver sustainable value-based care and continue to thrive in the future. While it seems straightforward at face value, successfully navigating the transition to value-based care can be daunting. CareAllies was formed in June 2016 to help physician groups and delivery systems do just that. CareAllies works side-by-side with health care providers to help improve the quality and experience of care for their patients and to enable success in a value-based market. The company connects care between patients and providers to improve health, affordability and the overall patient experience. Seasoned industry experts work closely with providers to accelerate their transition to value-based care and to manage the long-term health of their patients in a multi-payer environment. The company’s approach, which combines consultative and operational services with a technology agnostic engagement model, emphasizes physician engagement, organizational alignment and culture change, actionable data and analytics, as well as patient health engagement. This unique combination helps organizations earn value-based incentives by meeting organizations where they are on their journey to achieving success, with a custom approach. CareAllies also has deep expertise supporting hospitals and delivery systems seeking to launch health plans to manage the health of their employees and other patients in their local communities. Based on a healthcare organization’s progress on the journey to value-based care, CareAllies offers the following types of services to help organizations achieve their desired clinical and business outcomes. CareAllies assists organizations in creating physician-led groups focused on delivering better financial results while aligning providers to improve and optimize patient care. CareAllies’ expertise in government and commercial Accountable Care Organizations (ACOs), and MACRA strategy and implementation allows providers to focus on ensuring patients get the right care—with quality outcomes. In fact, in 2015, more than 83 percent of its Medicare Shared Savings Plan (MSSP) ACO clients received a shared savings payment, compared to the national average of 31 percent, resulting in total payments of $32 million. CareAllies helps align physicians as they move to population health, supporting them with advisory and clinical services, including the selection and optimization of population health management tools. Experts work side-by-side with providers to develop flexible, unique health plans for their employees, joint venture commercial health plans, and Medicare Advantage plans to benefit local communities. “Simply put, we offer a simpler, faster and more affordable way for physician groups, hospitals and health systems to expand their population health capabilities and to successfully grow, improve quality and improve financial performance as they transition to value-based care,” says Harris. 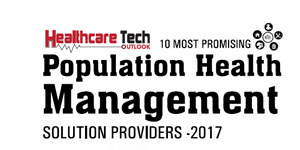 The CareAllies team is committed to being a catalyst in the population health management and value-based care environments, and they will be exhibiting at HIMSS17, in February.